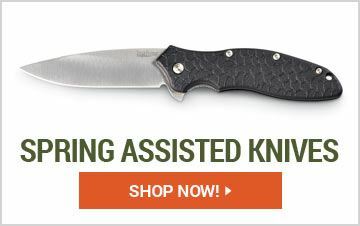 Sportsman's Guide has a large selection of Hunting Knives, including Spring Assisted, Folding, and Fixed Blade Knives. 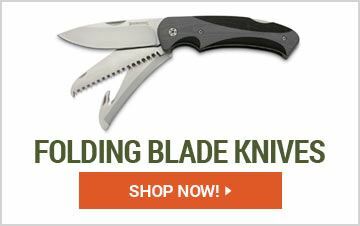 Don't forget to browse Tactical Knives, and Knife Sharpeners in any style you prefer for dozens of applications and all at great low prices. Whether you're needing a knife to gut a deer or to fillet fish, look to Sportsman's Guide to provide a sharp knife for any situation. Equip yourself with a knife so you're always ready for anything outdoors. Investing in a knife is only good if it is sharp. Prevent all your knives from getting dull with one of our knife sharpeners. Carry a screwdriver, wire cutter, can opener, saw, and more with one of our multi-tool. The perfect tool whenever you are hunting, camping or whenever something needs fixing. 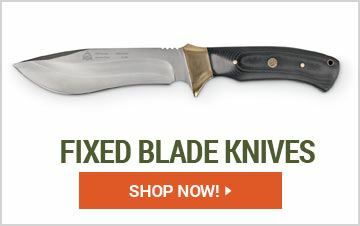 Be sure to check out our collection of military surplus knives afterwards.